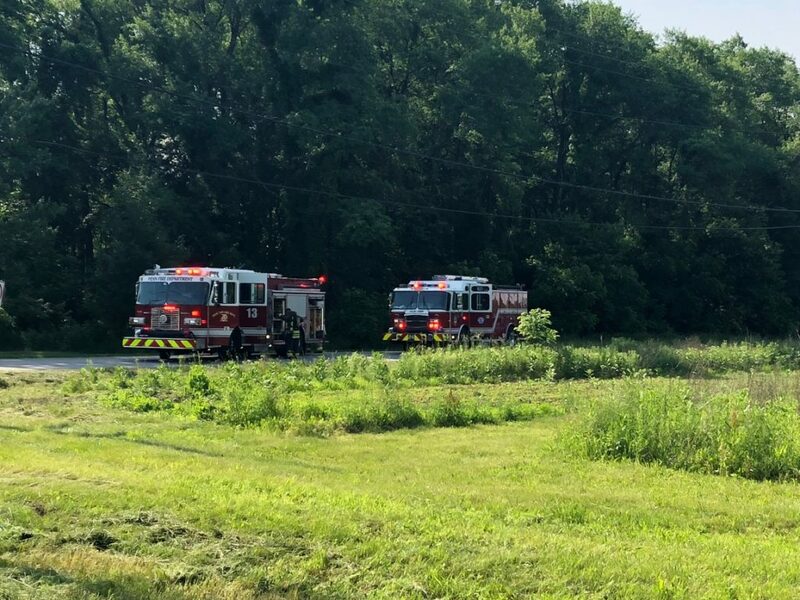 On Thursday 6/8/18 Penn Fire C-Shift Squad 13 and Battalion 5, along with Clay Engine 24 and Battalion 4 responded to a high pressure gas valve leak at Douglas and Bittersweet. St. Joseph County Highway mowing crews struck a valve in the grass to a metering station. Units secured the area, stretched a charged hoseline and NIPSCO shut down the leak approx. 30 minutes later.